Ukrainian authorities have deported Mikheil Saakashvili, the former Georgian president who has emerged as a vocal antagonist of the government in Kiev. Ukraine’s border agency confirmed his deportation to Poland on Monday, while videos on social media purported to show Saakashvili getting seized by masked men. Earlier Monday the populist politician’s Facebook account released a plea for help, saying “unknown people in masks kidnapped [him] and drove him in an unknown direction.” At the same time, the account uploaded several videos appearing to show his “abduction” in a restaurant at the hands of several shouting men. Saakashvili — a populist politician who also faces a three-year prison sentence in Georgia for embezzlement and abuse of authority during his presidency there — lost his rights as a Ukrainian last summer while he was in the U.S. He returned, though, gathering supporters on the Poland-Ukraine border for a climactic push back into the country in September. Since then he has drawn a considerable following in Ukraine, even as Ukrainian officials have condemned him as a provocateur backed by a pro-Russian criminal group. What Is An Ex-Georgian President Doing Camping Outside Ukraine’s Parliament? 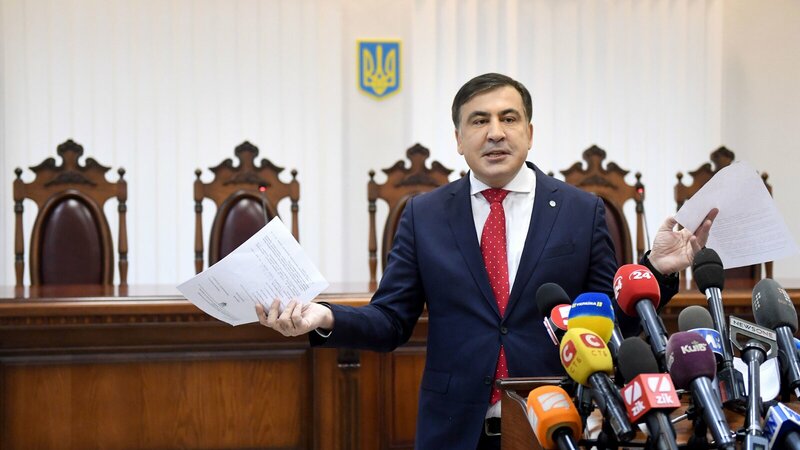 Now, after grappling with Saakashvili for months, Kiev has managed to eject him. Time will tell whether he will stay out of Ukraine or whether, as he did last year, he will somehow manage to return. 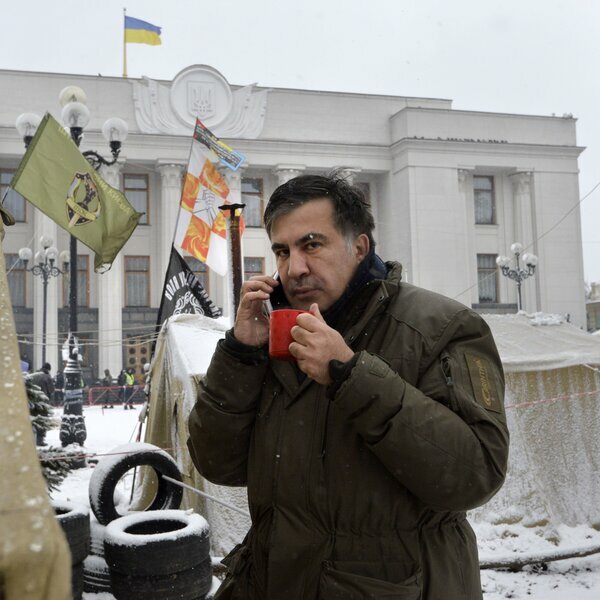 In the meantime, Saakashvili might be out of the country — but he is not exactly out of earshot.